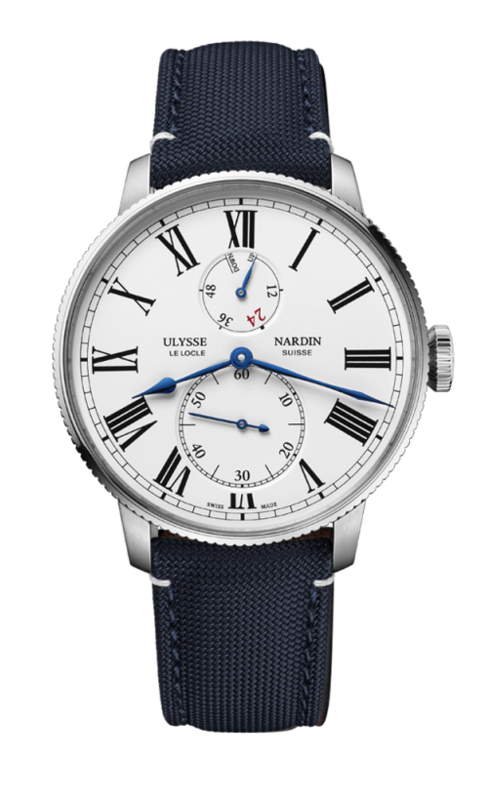 Ulysse Nardin Torpilleur US Navy Limited Edition to 173 pieces. Polished, 44mm stainless steel case, screw down crown, Ulysse Nardin in house movement, with 60 power reserve indicator. It features an exhibition glass back, and is available on elegant, and sporty, canvas strap, with stainless steel, folding buckle. PRICE $7,900. To purchase this watch CALL US 956.687.2981.